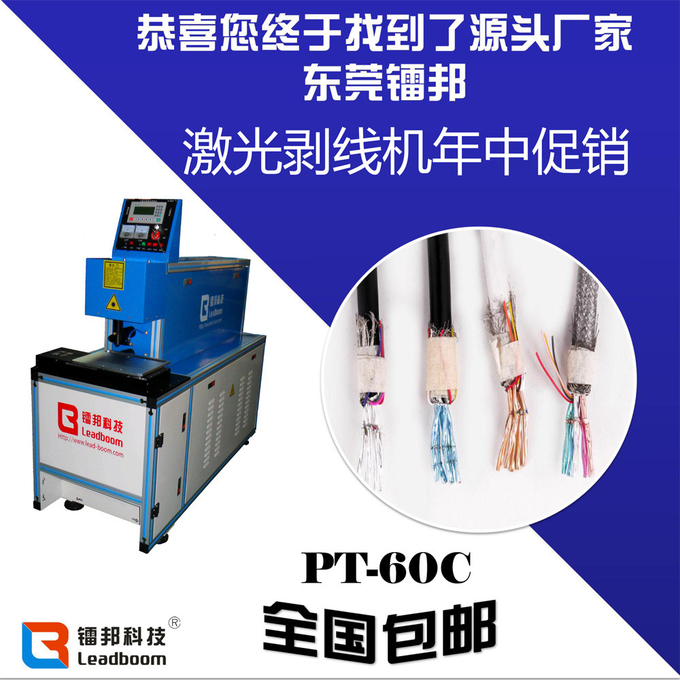 PT-60B CO2 Laser Wire Stripping machine is a high efficiency model which is specialized for processing high-end cables. 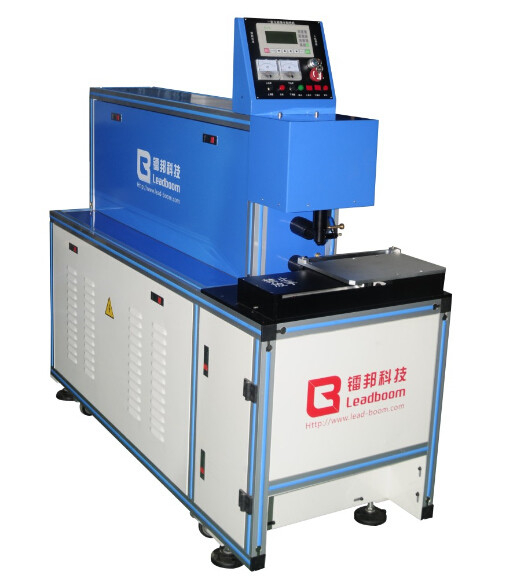 It is designed by advanced technology and has a very stable performance, can be run for 24 hours with full load. 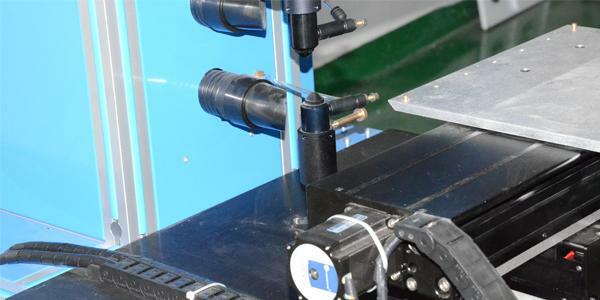 The machine is used in non-mental materials, such as Polyvinyl Chloride, Glass Fiber, Polyester, Polyester Film, Nylon, Polyethylene,Fluoride, Silicon Resin, and etc.It is especially used to cutting off the Aluminum Foil, Mylar and plastic foil on HDMI, USB, DVI, DP, SATA, and SFP. 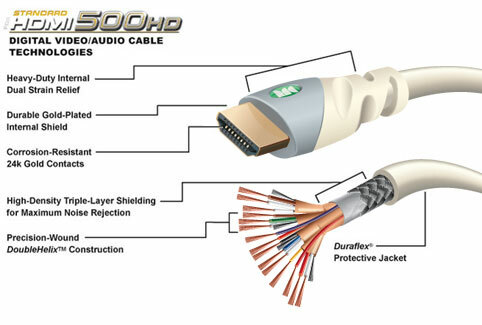 2.Professional for 52 AWG under very fine coaxial line and aluminum mylar foil. 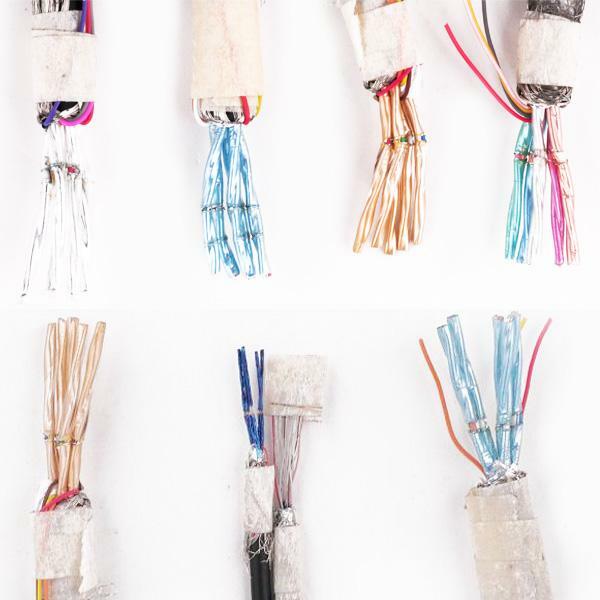 3.It utilizes an imported laser device,the service life is 6 times greater than domestic laser devices. l We will train 1-2 technicists for free. 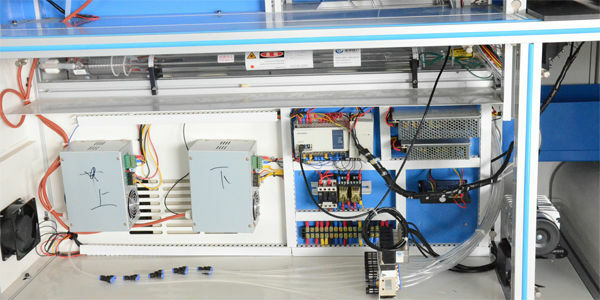 l Training details: the machine’s operational principles, the machine’s system and structure, the safety and maintenance, software, the processing technique, and so on. 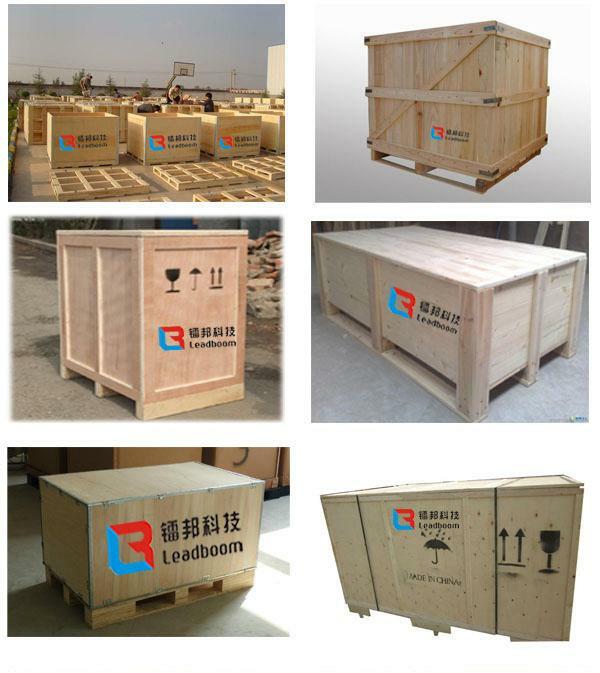 l All of our machine will be full-checked by our quality control department before the shipment. 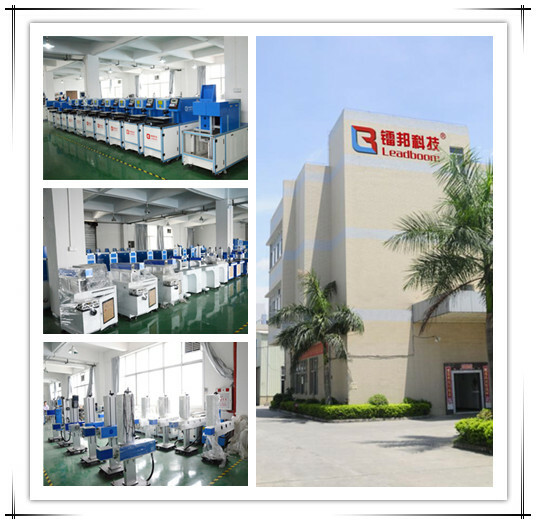 We make sure that customers will be get good products from us. and all of our machine with a 12 months quality guarantee period. 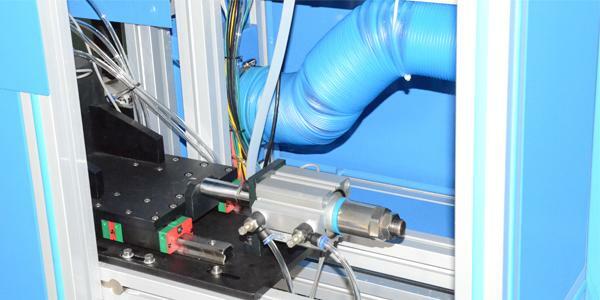 l We will supply brochures for simple trouble-shootings of the machine, which will help you dealing with the common problems happened to the machine. 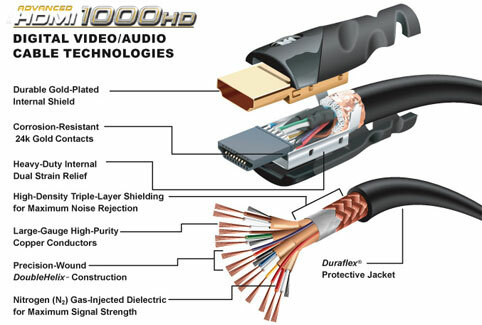 We will enclose an "Instruction Book", "Operation Manual" and "Training Video" (in English version) to you, which is easily understood and handle by the customer. 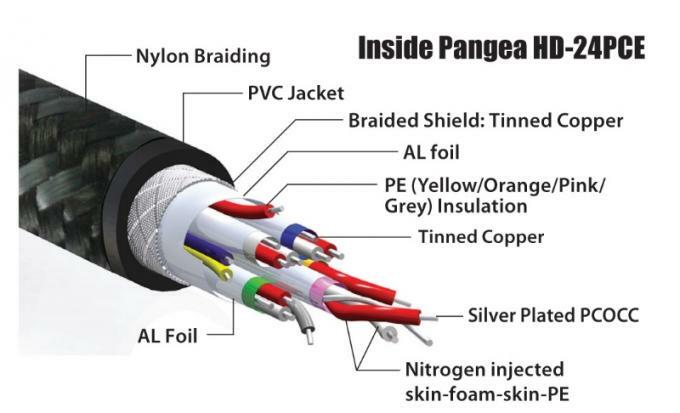 l We will offer plenty of online supports, just like detailed technical and installation instructions by email, video, telephone and fax. 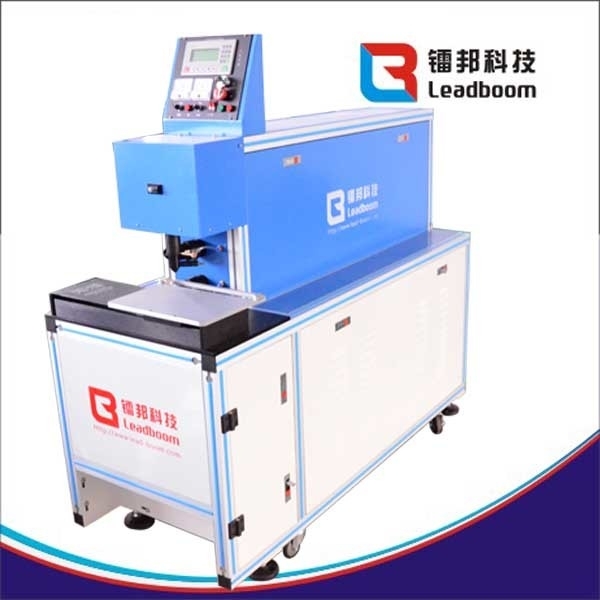 Dongguan Leadboom Photoelectric Technology Co., LTD., is dedicated to researching and developing laser equipments and mass manufacturing for our customers overseas since 2002. And we have built long term strategic partnerships with the COHERENT, SYNRAD, II VI from the US, and MITSUBISHI, Panasonic from Japan, and Rofin, IPG from Germany,etc.